Satcom Global has successfully migrated their Aura VSAT network to the iDirect Velocity platform, thereby enabling customers of the high-speed Ku-band service to benefit from higher capacity per vessel, improved satellite network management as well as the ability to fully capitalize on the coverage and additional capacity of primary network supplier, SES Networks. The Velocity platform equips the Aura network with advanced mobility capabilities, ensuring vessels using the VSAT service maintain a high-quality, uninterrupted IP session whilst crossing multiple spot beams within a short period of time. In addition, the platform boasts carrier class redundancy, supporting the reliability of the Aura network. The upgrade has significantly enhanced Aura VSAT coverage and capacity by providing access to an increased number of satellite wide beams, as well as global access to hundreds of spot beams on SES’ three recently launched High Throughput Satellites (HTS). The addition of JCSAT-15 in the Indian Ocean region is key for connectivity across major shipping lanes linking Africa, Europe and Asia, while additional coverage provided by Astra 4A enhances existing multi-beam coverage over typically busy European waters. SES-1 and SES-10 now provide improved coverage across the Americas, with particular focus on the U.S. West Coast, Alaska, Panama and the Caribbean. Aura services were transitioned from iDirect Evolution to Velocity, on a vessel by vessel basis, monitored by the Satcom Global VSAT Solutions team, who worked closely with SES Networks and iDirect on the migration to minimize disruption to customers. Planning for HTS implementation from inception, Satcom Global Aura was developed with Velocity-ready iDirect X7 modems as a key component. This facilitated a seamless ‘over the air’ migration for Aura early adopters, enabling them to take advantage of the new technology with ease, leveraging the advantages of the hybrid Ku- HTS, without the need for physical hardware upgrades. 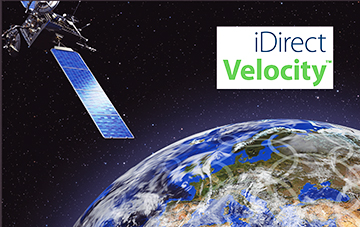 iDirect Velocity was specifically designed to enable satellite operators like Satcom Global to deploy managed HTS and multi-spot beam architectures, consisting of increasingly more beams, frequencies and throughput. The scalable, cutting edge platform provides enhanced network support and control functionality, capable of supporting the growing connectivity needs of customers long into the future. 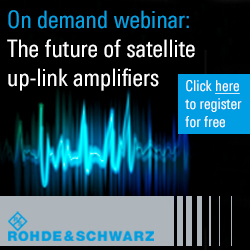 Using the coverage of satellite networks of key supplier SES, as well as Intelsat, Eutelsat and SKY Perfect JSAT, Satcom Global Aura offers a market leading high-capacity Ku-band network, reinforced with Iridium Certus, as a high-capability back-up. The brand-new L-band service will this year deliver speeds of up to 704 kbps with full Pole to Pole coverage, bringing a true ‘next level’ back-up to Aura. Alex Stewart, Chief Operating Officer at Satcom Global, said SES Networks and iDirect are leaders in their field and the migration to Velocity provides the company with a state-of-the-art platform by which to deliver seamless broadband connectivity that is both flexible and scalable. It is important to the firm to invest time and resources in technological developments to ensure the company has future proof solutions to meet the needs of the growing Aura customer base. Satcom Global’s Director of Solutions and Technical Support, Josh Bolton, added the company is delighted that the migration to Velocity is now complete, providing the firm with multiple new tools to assist in expertly managing and supporting the Aura network. The Pulse network management platform, enhanced beam selection capabilities and fast blockage reacquisition capability assist in delivering a consistent quality connectivity to customers.